Japanese model and student showcasing a tough-girl chic style in Harajuku. 17-year-old Japanese model with pink hair wearing a faux fur coat over knit top, striped pants, platform boots, and fringe purse. 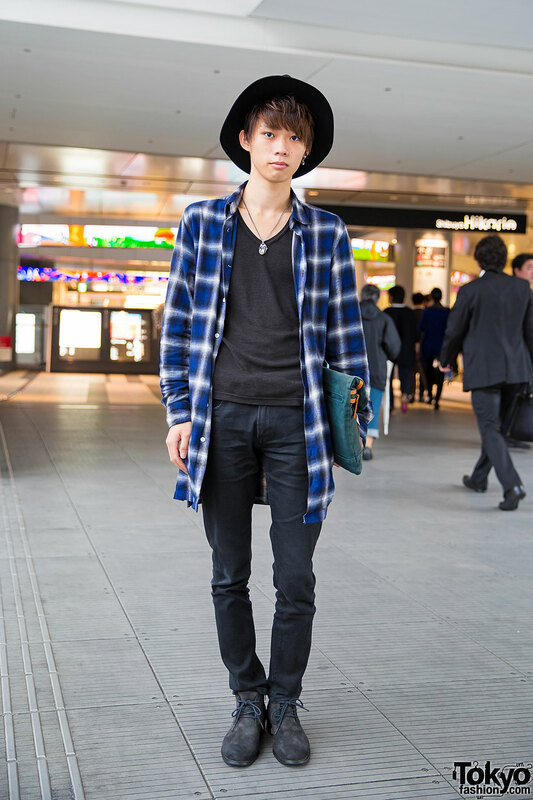 Shibuya guy in hat, plaid shirt jacket, black t-shirt and skinny jeans, clutch, watch and blue lace shoes. Harajuku girl with bob hair wearing a mesh tank over a shirt, with a Nike jacket, patent shoes and backpack.